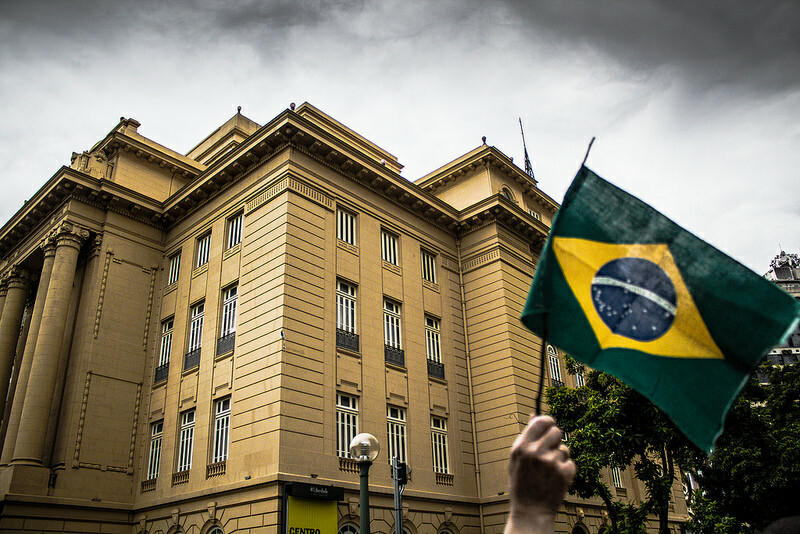 Amid all the corruption scandals shaking Brazil in recent months, positive signs about future prospects for accountability – in a country where it has historically been lacking – are easy to overlook. The judicial system is improving and – since the historic conviction of 25 of 37 defendants in the notorious mensalão bribery case in 2012 – has shown commitment to meaningful outcomes in corruption cases. Prominent offenders who in the past would have been untouchable today face a significantly higher probability of conviction and imprisonment. In March, the Supreme Court authorized investigations into more than 50 high-ranking officials, including the leaders of both legislative houses. In July-August, prosecutors launched investigations into former President Lula da Silva (as an informant) and senior Petrobras officials. Important transparency initiatives are also taking hold. On paper, these are some of the most demanding standards in the world. The Freedom of Information Act (FOIA) enacted in 2011 ranks among the top 20 FOIA laws in the world, according to the Global Right to Information Rating. Since 2012, more than 300,000 FOIA requests have been made through the online request system (e-sic) created by the law. No fewer than 98.34 percent of these requests have been replied to, with an average response time of 14 days. Brazil has been at the forefront of promoting transparency globally. Together with the United States, it was the founding co-chair of the Open Government Partnership (OGP), a multi-stakeholder partnership that now involves more than 60 countries. The impact of such initiatives has been limited, however, because they were launched as a result of the mobilization of a handful of NGOs, journalists and international actors, rather than broad societal pressure. Street protests against government policies have had massive turnouts over the past couple years, but mobilizations in favor of concrete transparency measures and similar reforms have not involved wide swaths of citizens. Cultural change at the popular level has been slow, reflecting a lack of social maturity to accept responsibility to monitor public policy and demand transparency. Nonetheless, some important initiatives, such as joint government-citizen policy conferences to discuss public policies, are attracting significant citizen participation. Between 2003 and 2010, 70 such conferences drew 6.5 percent of the Brazilian population, according to academic tallies, and from 2010 to 2014 there were 26 more conferences. That these achievements haven’t ended corruption is not a sign that they’re useless. Rather, the consolidation of transparency norms and institutions; the continued assertiveness of Brazilian prosecutors and judges; and the expanding opportunities for citizen engagement suggest that the prospects for inculcating a culture of accountability in Brazil are not as bleak as might appear in the almost-daily headlines about endemic corruption in politics and big business. Having transparency initiatives in place has the potential over time to make corruption less frequent, and the more engaged that Brazilian society becomes in the implementation of transparency norms the more likely it is that massive scandals such as those around Petrobras and Lava Jato will become the exception rather than the rule. *Vanessa Macedo is a CLALS research fellow and political science PhD candidate at the Instituto de Estudos Sociais e Políticos at the Universidade do Estado do Rio de Janeiro (IESP/Uerj).